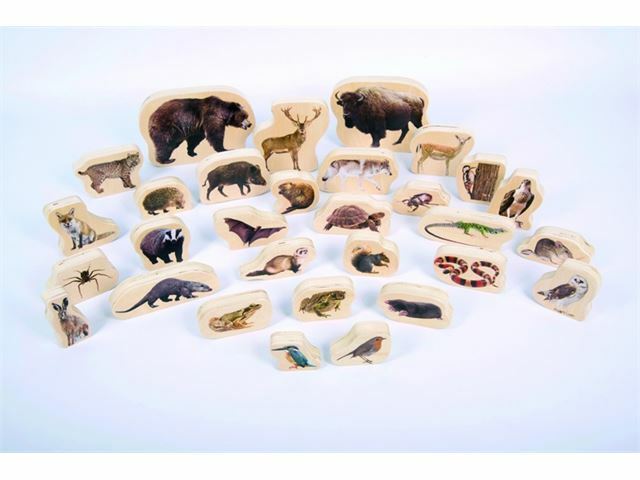 These sets of chunky wooden blocks are colour printed on both sides with real images of animals, people, scenery and vehicles. They are great for the SEN classroom, of excellent quality with smooth edges and great to handle and play with. Wonderful for encouraging the development of motor skills, collaborative and imaginative play as well as communication skills. 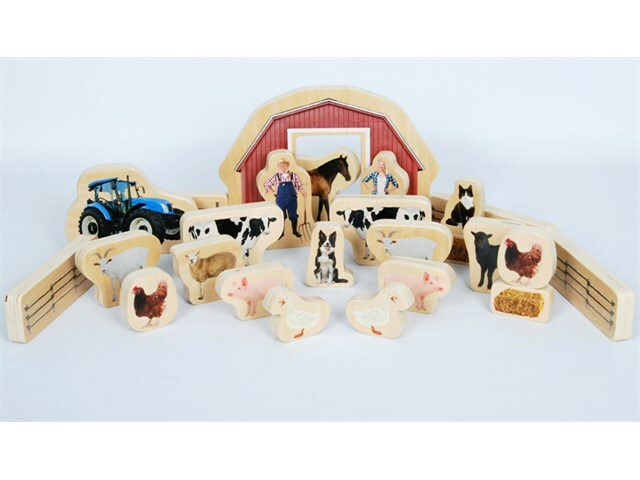 Chunky wooden blocks colour printed on both sides with real images of farm animals, farmers, scenery, vehicles, people and forest animals, perfect for learners to engage in imaginative play and develop their communication skills. The 20mm birch plywood blocks are smooth to touch and easy to handle. Having realistic images enables users to make comparisons with real animals and items commonly found around a farm, and encourage others to think about characters in story-telling and creative play. Pack includes: 2 x hens, 2 x cows, 2 x pigs, 2 x geese, 2 x goats, 1 x sheep, 1 x lamb, 1 x cat, 1 x sheepdog, 1 x horse, 2 x farmers, 2 x straw bales, 4 x fences, 1 x barn and 1 x tractor. Dimensions Guidance: size of barn: 19.5cm x 28cm x 20cm. The realistic images will aid learners in recognising and relating to the characteristics of other people and encourage them to think about them when story-telling and playing and when learning about different cultures, backgrounds and lifestyles. 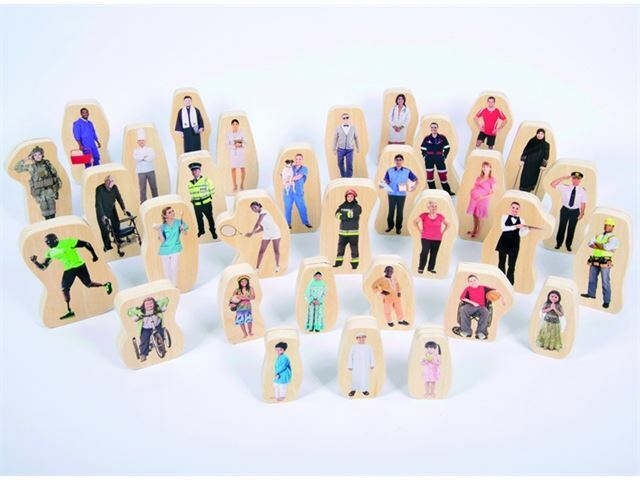 Pack includes: 8 x children and 24 x adults representing a variety of ages, professions, cultures, religions and disabilities. Dimensions Guidance: size of adult: 12.5cm. Size of child: 8-9cm. Having realistic images will enable learners to recognise real animals and them to visualise them for story-telling and playing. Pack includes: insects, birds, reptiles and mammals representing a variety of recognisable species. Dimensions Guidance: size of fox: 7.3cm x 8cm x 2m.